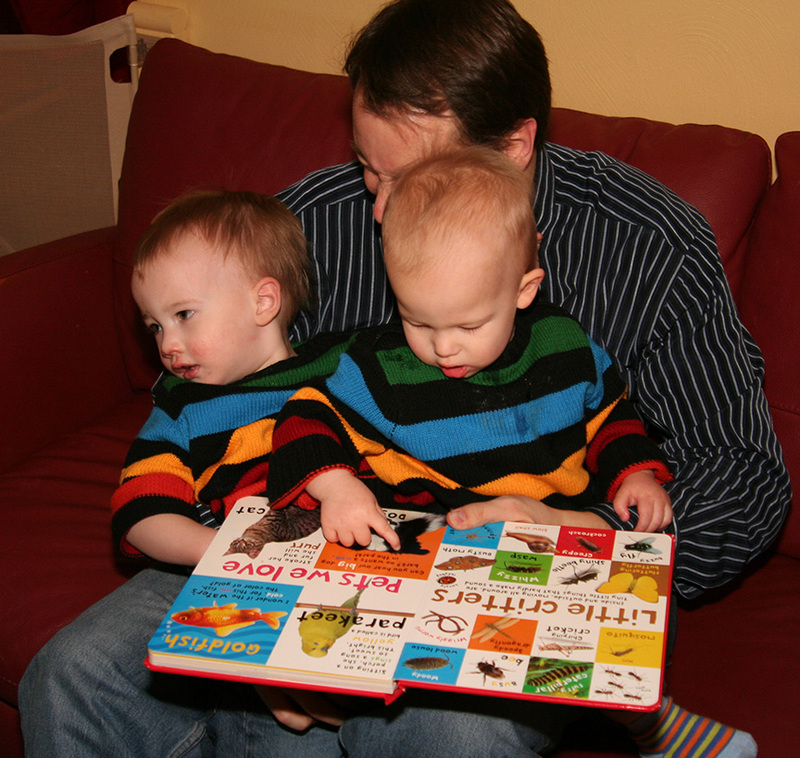 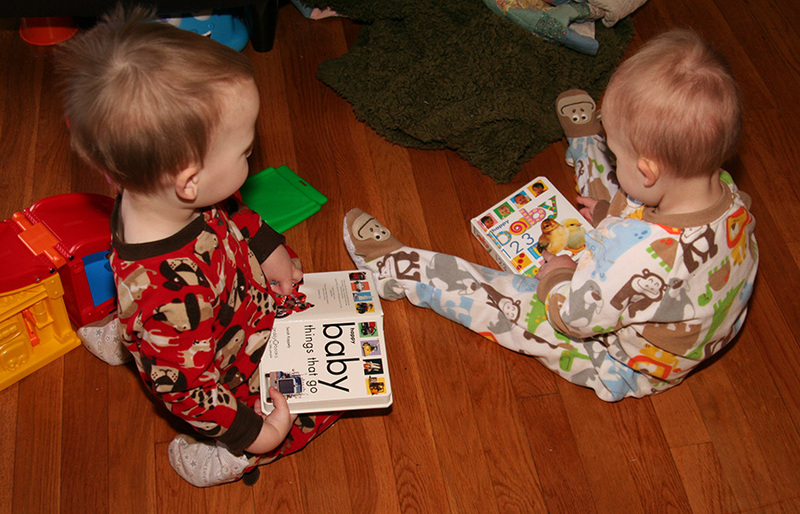 The boys LOVE to read books. 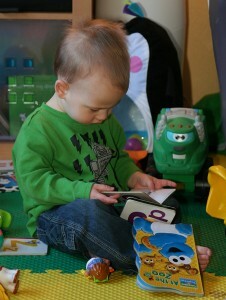 By 10 am on Saturday or Sunday morning, I often hear myself saying – no more books right now, let’s play with some toys. I can only read the same books so many times in one day. So I am so happy when Scott is home and takes a turn reading. 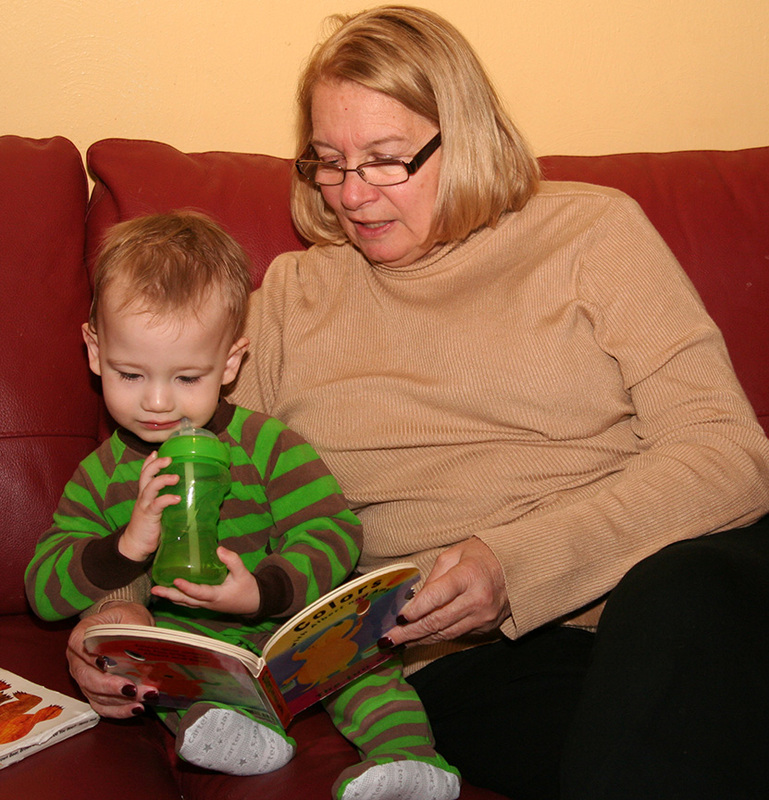 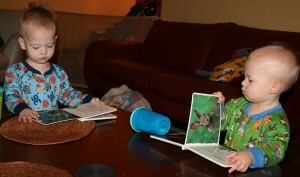 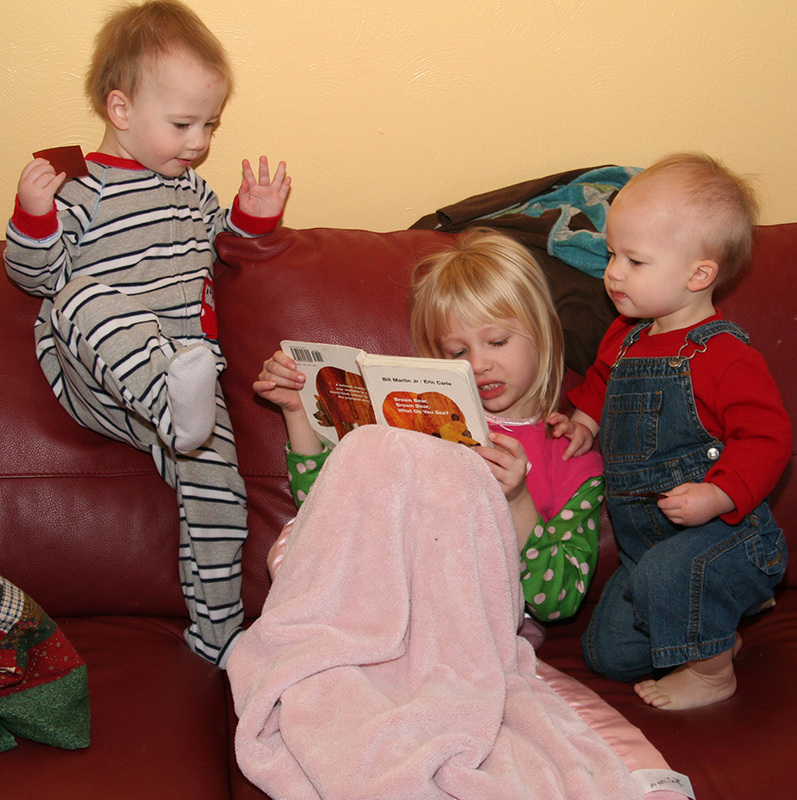 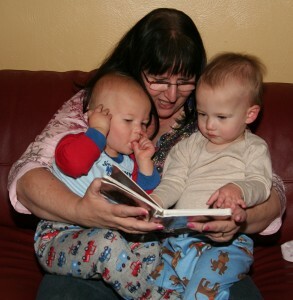 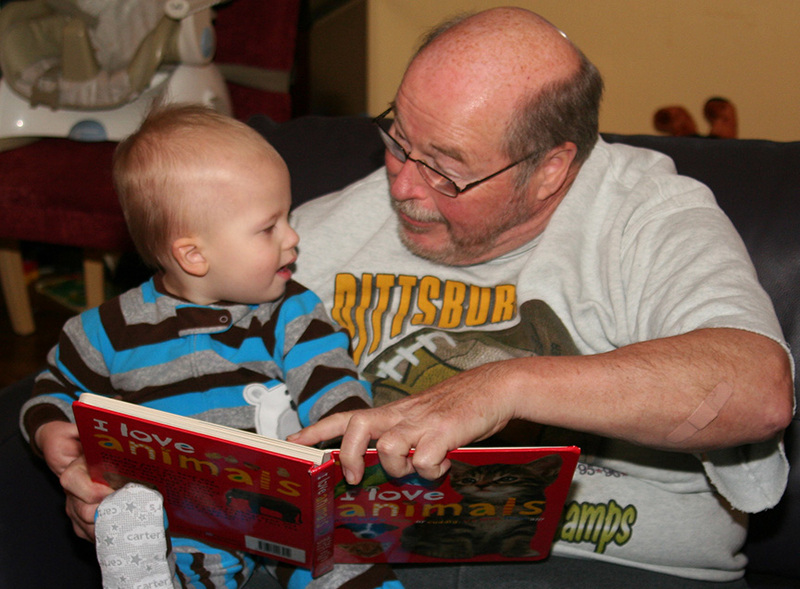 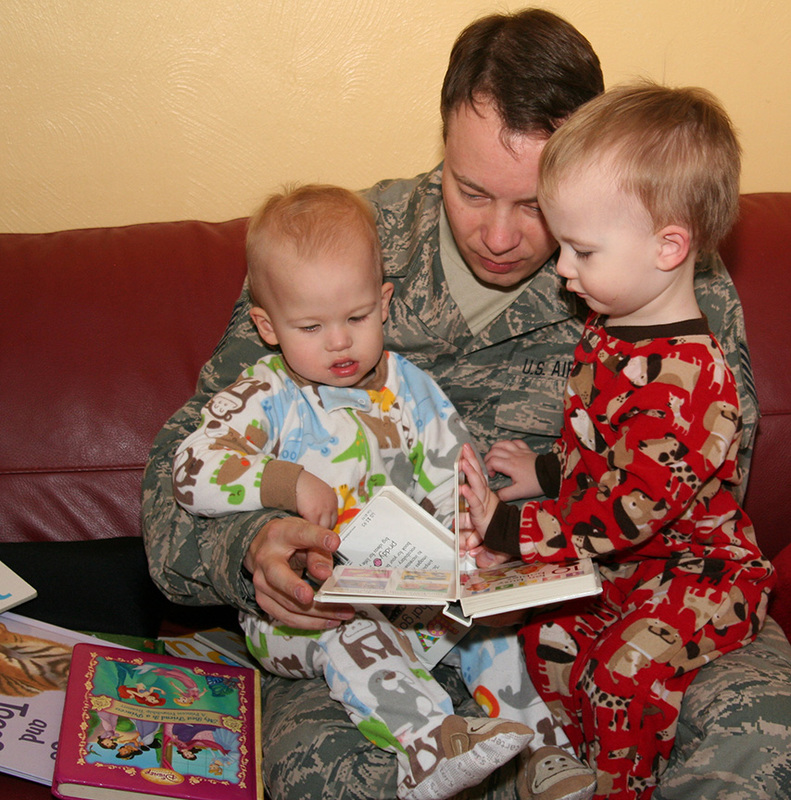 Many evenings we have a Grandparent or two who can take over reading before bedtime. Occasionally I find the two of them flipping through a book and sometimes one of the boys hangs out alone with a book. 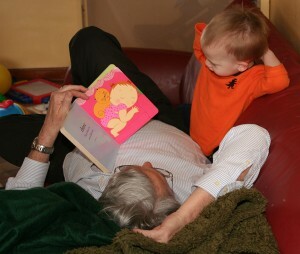 But most of the time they prefer to be on some one’s lap being read a book. 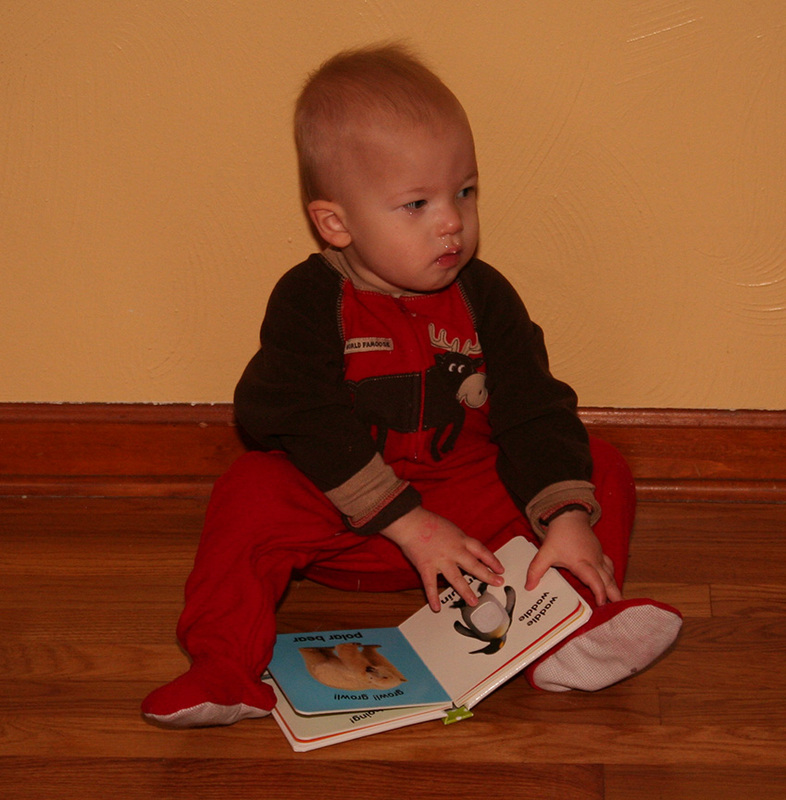 Juliana is getting more confident with her reading. 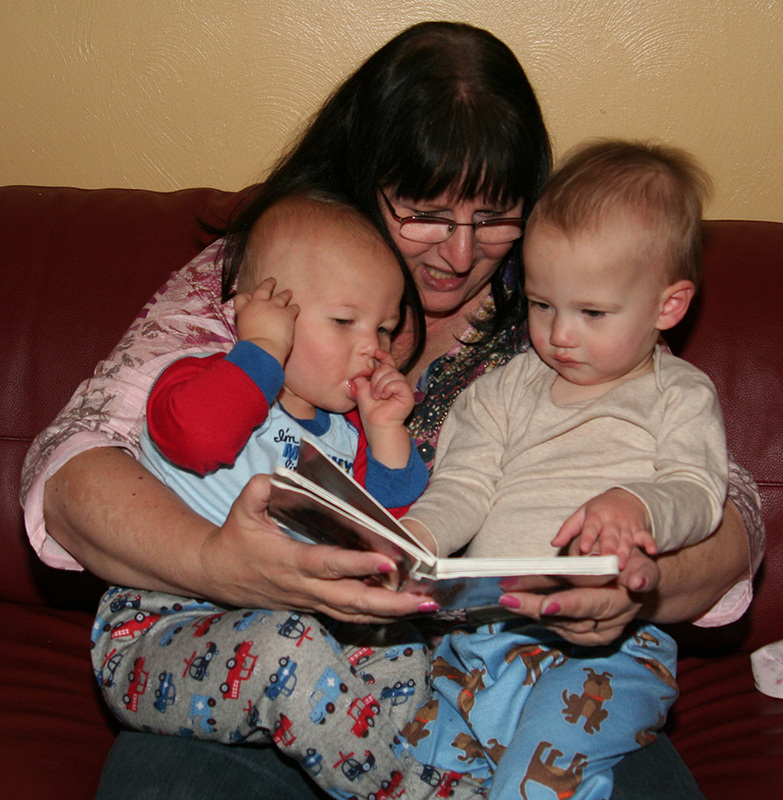 I can’t wait until she is able to read to them every day.